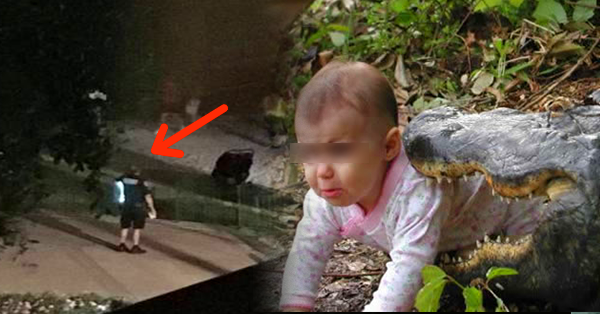 MUST WATCH: 2-Year Old Boy Was Captured by an Alligator! He's Still Missing Until Now! Orlando, Florida - A two-year old boy is still missing after a so-called alligator attack outside Walt Disney Park last June 14, 2016. Based on reports from authorities, the child, who was not identified in public, was with his parents and siblings the time the terrible incident occurred. While they were paddling in the water, the boy was captured by a seven-foot long alligator and dragged him down at Disney's Grand Floridan Resort and Spa Seven Seas Lagoon. According to the officials, the said attack happened at around 9:30PM. His father tried him to save from the animal, however failed and he just suffered from injuries. A representative of the said theme park said that they are all saddened by what happened. They are currently doing ways to help the family of the victim and taking a more secured place through law enforcements. Concurrently, Florida Fish and Wildlife authorities are now in full force to find the boy and at the same time catch the alligator. Watch the video below.